A smile makeover from Palmieri Dentistry can fix a wide range of dental problems that make you self-conscious about your looks. We use a variety of techniques to make your smile look better than ever. Here’s a list of smile makeover options we have available, so you can learn about them ahead of time and discuss with Dr. Palmieri during your next visit. 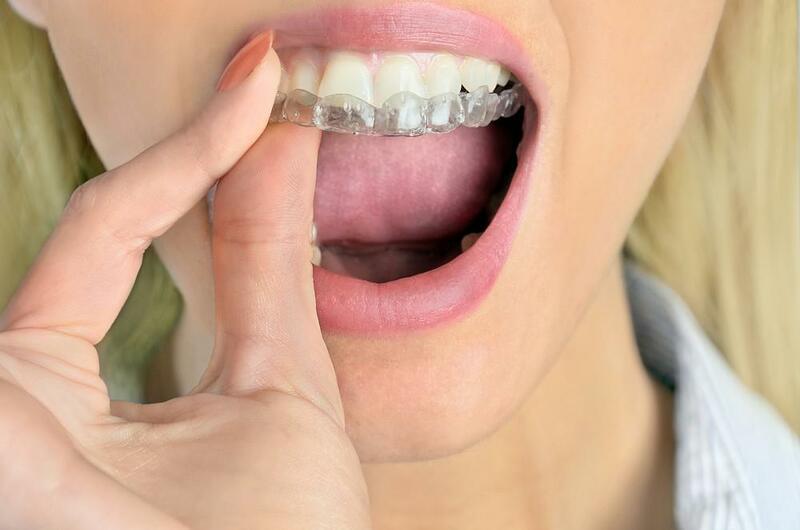 Adults often feel uncomfortable wearing metal braces, which make them feel out of place in their personal and professional lives. Invisalign gives you a way to straighten your teeth without wearing traditional braces. Invisalign uses a succession of clear aligners to straighten your teeth and close gaps. Since the aligners are made of an almost transparent material, they don’t call attention to themselves. In our experience, it takes about a year, give or take, for Invisalign aligners to straighten teeth. Depending on your teeth, it may take more or less time. According to the American College of Prosthodontists, about 178 million Americans are missing at least one tooth. Missing teeth contribute to multiple dental problems and can also make people too embarrassed to smile and laugh in front of others. Dental implants from Dr. Palmieri provides a simple way to replace missing teeth. Each implant is placed into your jawbone, so you never need to worry about it falling out. Unlike dentures, which require removal from your mouth and special cleaning procedures, you can clean your implant the same way as the rest of your natural teeth -- with regular brushing and flossing. Porcelain veneers are popular because they can correct so many types of flaws. Veneers can cover discolored teeth, close gaps between your teeth, and hide chipped teeth. When you come to see Dr. Palmieri for a smile makeover, he takes X-rays and makes impressions of your teeth. These images get sent to a laboratory that makes custom veneers for you. It usually takes 2-4 weeks for the lab to send us the porcelain veneers, then you’ll come back to the office to have them affixed to your teeth. Before he permanently attaches the veneers, Dr. Palmieri makes whatever changes are necessary in their shape and color so they match your teeth as perfectly as possible. You can get veneers made from materials other than porcelain, but we prefer porcelain because it looks more like your natural teeth, and it resists stains well. Traditional crowns require two visits to the dentist, and you must go home wearing a temporary crown. 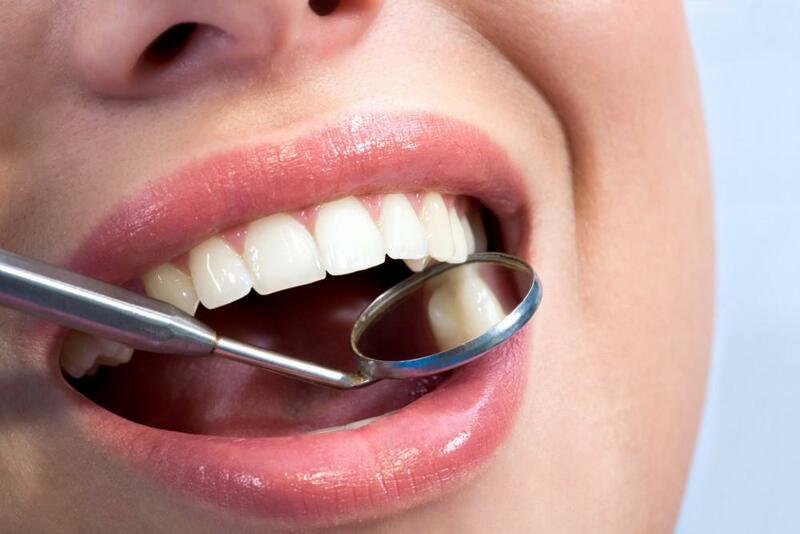 Dr. Palmieri, however, uses a same-day technique that repairs your broken or chipped tooth in one visit, and you leave with your permanent crown in place. We usually make same-day crowns from ceramic because the material resists stains and is strong enough to prevent breakage. You can, however, get crowns made of porcelain, resin, stainless steel, or gold. You deserve teeth that make you proud to smile. If you’d like to talk about a smile makeover with Dr. Palmieri, contact us today. Call our office in Mooresville, North Carolina, or click the booking button to make an appointment. Does Snoring Mean You Have Sleep Apnea? Do you snore? Snoring can be annoying for anyone who sleeps near you, but it can also be a symptom of a serious condition. How do you know when to worry?